In just two centuries, humans have wrought such vast and unprecedented changes to our world that we actually might be ushering in a new geological time period that could alter the planet for millions of years, according to a group of prominent scientists that includes a Nobel Laureate. They say the dawning of this new epoch could lead to the sixth largest mass extinction in the Earth's history. Their commentary appears in ACS' bi-weekly journal Environmental Science & Technology. Jan Zalasiewicz, Mark Williams, Will Steffen, and Paul Crutzen (the Nobel Prize-winning atmospheric chemist) reflect that recent human activity, including stunning population growth, sprawling megacities and increased use of fossil fuels, have changed the planet to such an extent that we are entering what they call the Anthropocene (New Human) epoch. The notion of such drastic human influence was controversial for many years. However, as more potential consequences of human activity — such as global climate change and sharp increases in plant and animal extinction — have emerged. The Anthropocene (a term proposed by Crutzen a decade ago) has gained support. 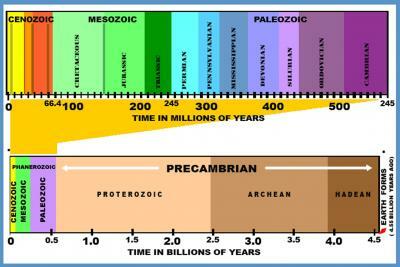 Currently, the worldwide geological community is considering whether Anthropocene should join Jurassic, Cambrian and other more familiar units on the Geological Time Scale. Zalasiewicz, Crutzen and colleagues note that getting that formal designation could be contentious. But they conclude, "However these debates will unfold, the Anthropocene represents a new phase in the history of both humankind and of the Earth, when natural forces and human forces became intertwined, so that the fate of one determines the fate of the other. Geologically, this is a remarkable episode in the history of this planet."